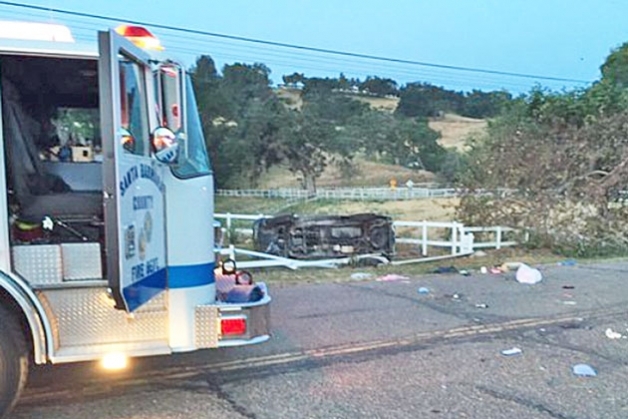 A 53-year-old Paso Robles woman died Saturday after she veered off Highway 154 in Los Olivos in an attempt to avoid a collision between a stolen Jeep and a donkey. About 5:30 a.m., Peter Franklin of Solvang was driving westbound on the highway in a Jeep Rubicon when he struck and killed a donkey that had wandered onto the road. Franklin, 24, was not injured. A few minutes later, Katrina Sue Cummings, 53, who was also driving westbound on the highway, swerved to avoid the donkey carcass and the damaged Jeep, rolled her pickup truck and was ejected from the vehicle. She was not wearing a seatbelt. Emergency personnel transported Cummings to Marian Regional Medical Center in Santa Maria, where she died Sunday. Franklin did not appear to be intoxicated. Even so, he was taken into custody after authorities discovered he was in possession of a stolen car. An innocent person is dead because a thief was driving a stolen vehicle. Unfortunate that the thief driving the stolen vehicle won’t be charged with manslaughter. Who knew so many fail to buckle up?